at the Detroit Symphony Orchestra in 2007. The pair became engaged after Tony was inspired to craft lyrics and a tune. He performed his musical proposal for Shannon while they were on vacation and the rest is history! Shannon recently moved to Chicago to begin her career as an attorney while Tony finishes up his obligations in Michigan. While they may be living in different states for now, it's clear they are meant to be together! 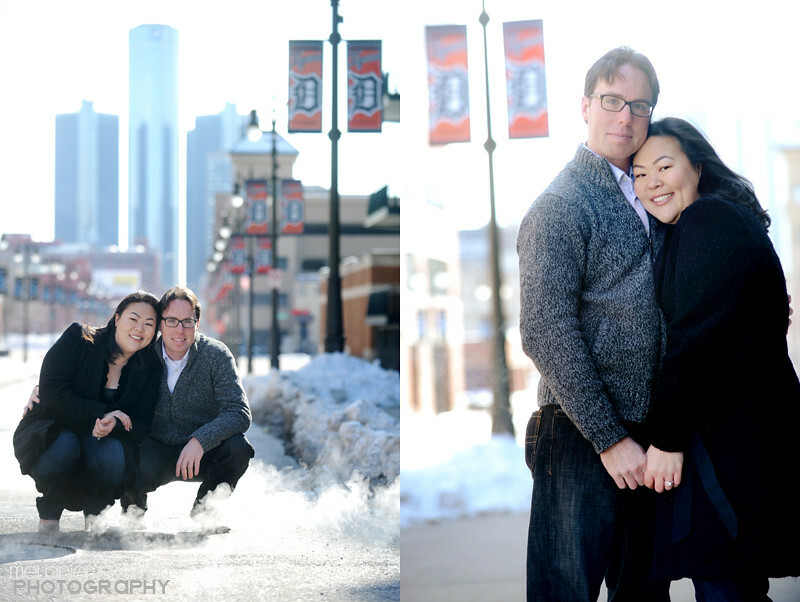 Shannon and Tony fell in love in Detroit and they have some major love for Detroit. 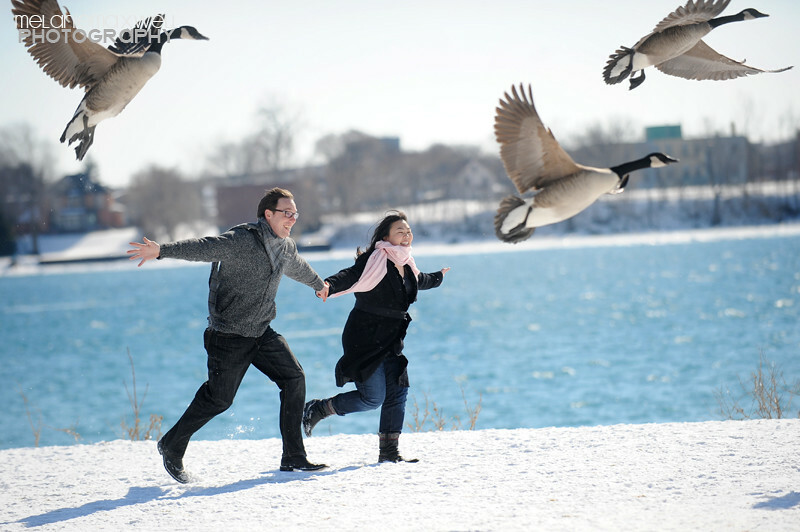 So where else would we shoot their engagement photos? 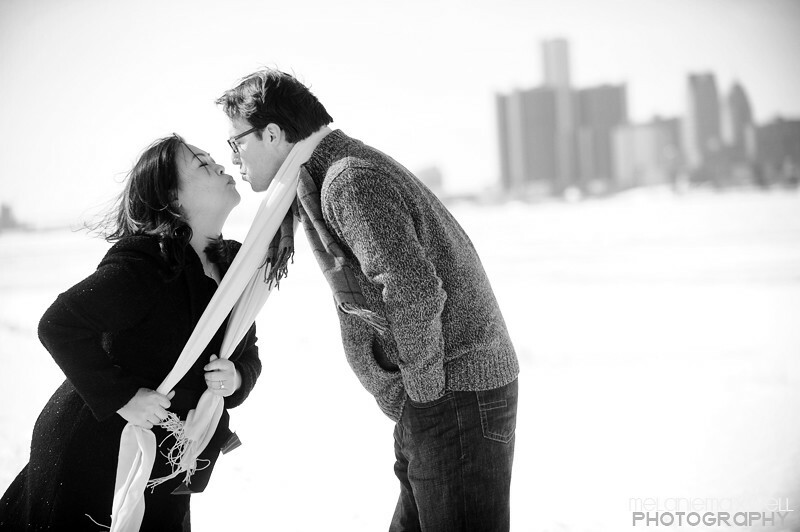 We hit up Belle Isle and made some of my favorite photos of the day. 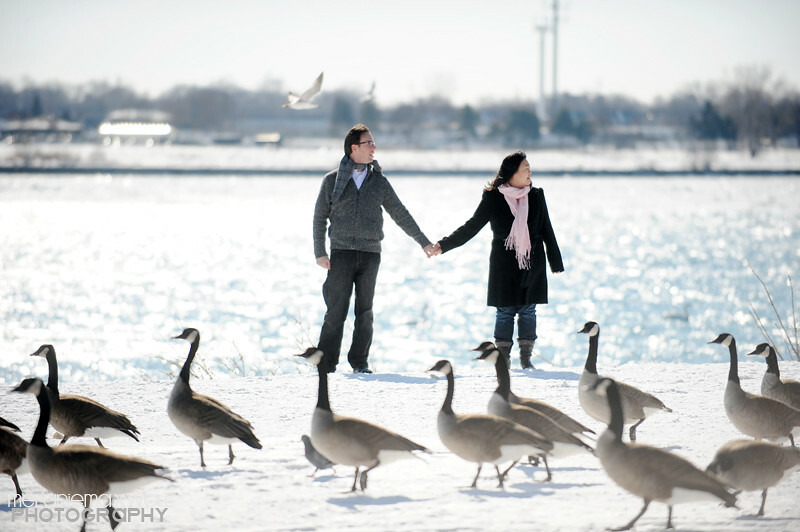 Definitely one of my favorites from our shoot! I couldn't decide between color or black and white, so you get both! A trip down memory lane. 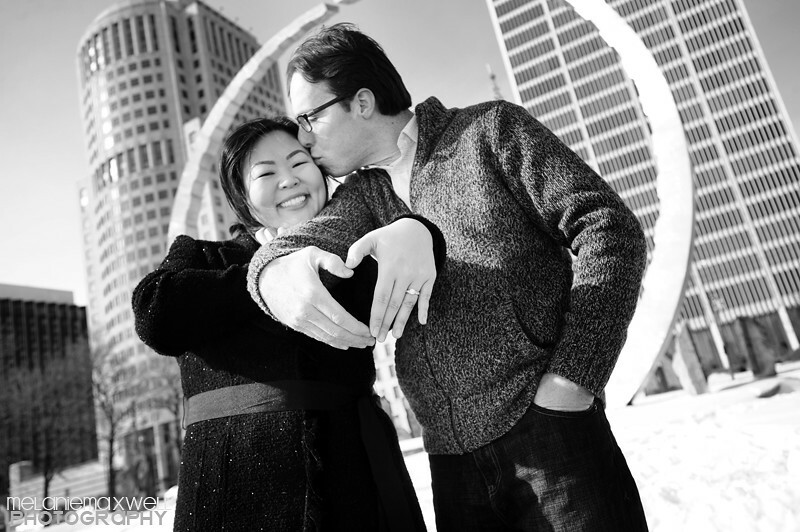 Shannon and Tony shared their first date at Comerica Park! 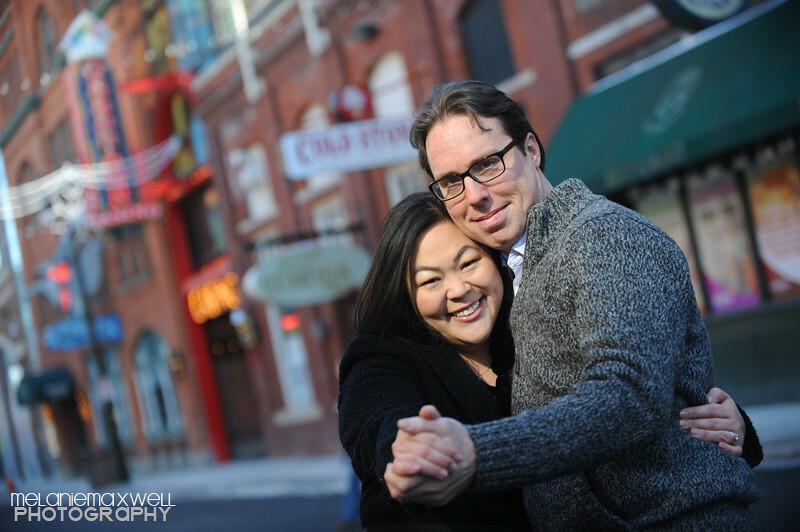 We hit up Greektown and were welcomed with some sweet light! 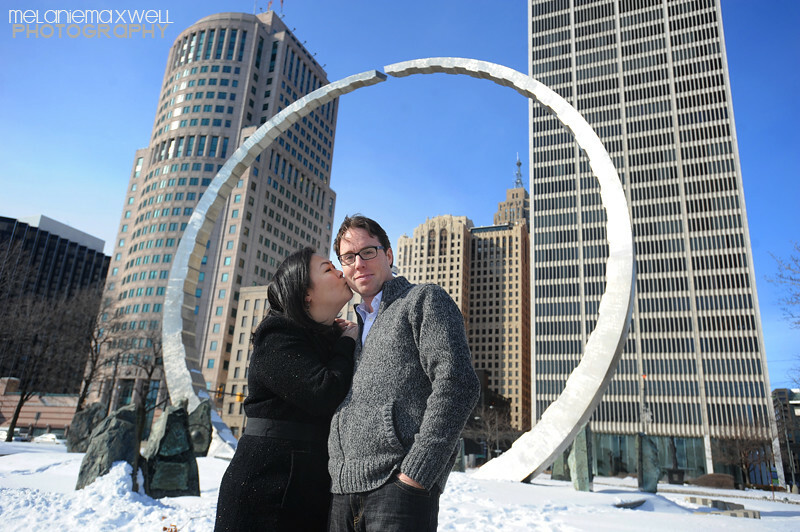 We ended our afternoon with a stop at Hart Plaza and some photos in front of the sculpture "Transcending." Congratulations, friends! Much love, laughter and happiness!